The Steven J. Ross Theater is located on historic Brownstone Street on the famous back lot of Warner Bros. Studios in Burbank, California. 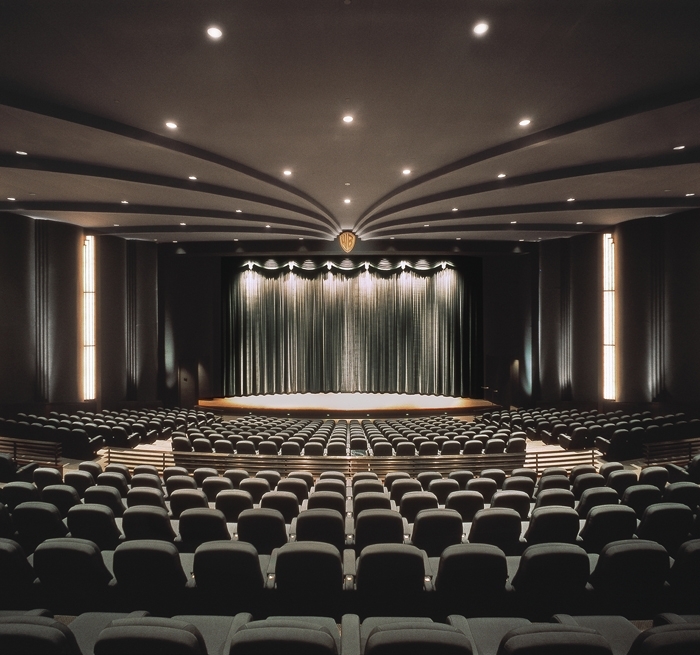 The 516-seat theater is the most elegant and technically advanced theatrical and screening venue on the studio lot. 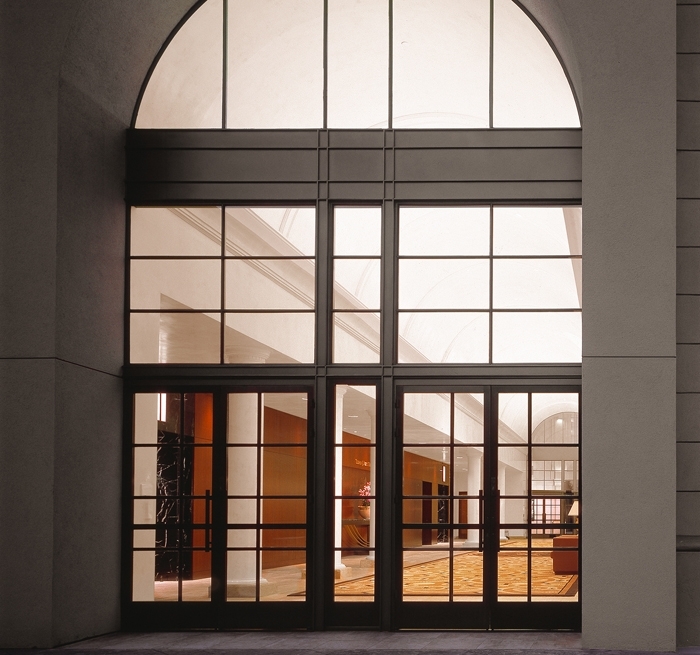 Originally built for Hollywood premieres and executive screenings, it is also used for other special events. Auerbach Glasow provided lighting design services for the theater, lobby and Brownstone Street historic façades. The lighting in the custom fabric, deco ceiling and custom designed 23’ tall sconces in the theater required careful architectural integration. A special photographic gobo technique was used to light the Warner Bros. logo above the stage. The Warner Bros. Museum, which is next door to the theater, displays a rotating exhibit of artifacts from Warner Bros. films. Auerbach Glasow provided architectural and exhibition lighting design services for the Museum which opened several years after the theater. The lobby of the theater can be opened and accessed from the Museum to combine the two venues to accommodate special events and presentations.